Ever wonder what goes on inside these things? Well this clear transparency breadboard might enlighten. Beyond the clear plastic, this is really just a regular, solderless breadboard. It has 2 power buses, 30 columns, and 10 rows - a total of 400 tie in points. All pins are spaced by a standard 0.1". The two sets of five rows are separated by about 0.3", perfect for straddling a DIP package over. 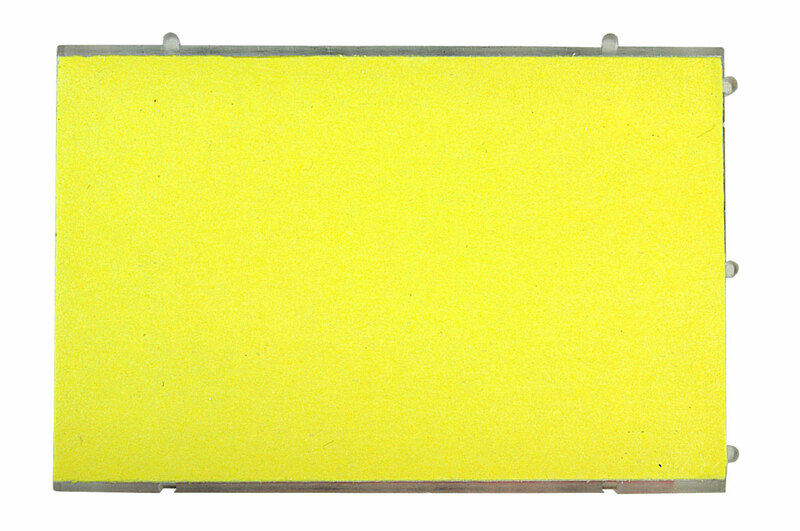 The board accepts wire sizes in the range of 19-28AWG. It is the highest quality 350 tie-point prototyping solderless breadboard. This solderless Breadboard is an invaluable tool for the most demanding prototyping and design applications, whether in the R&D or University lab. They are the reusable solderless device used to build a (generally temporary) prototype of an electronic circuitand for experimenting with circuit designs. Because no soldering is required, modifying or revising the circuits can be done quite easily, without the need for any tools and without the risk of overheating or damaging the board. 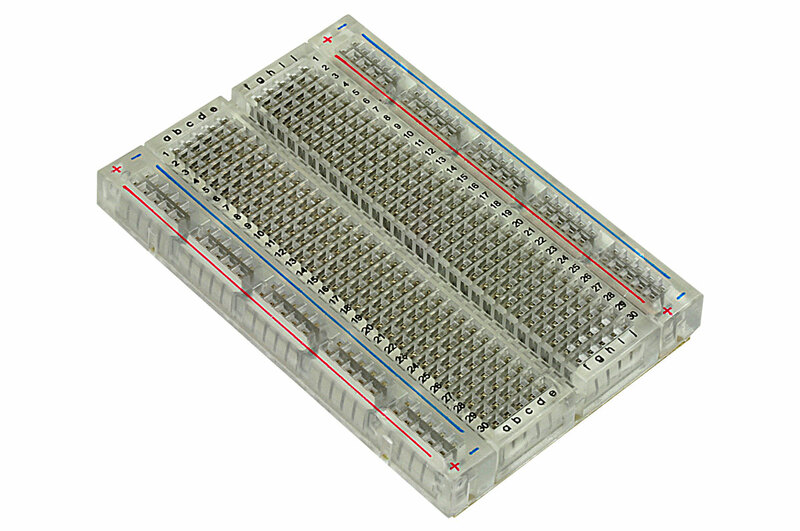 The breadboard consists of a set of formed metal sockets inserted into a durable plastic housing, holding them firmly in place. The breadboard pattern is a useful combination of isolated tie points, which serve as discrete points in the circuit, as well as a continuous bus structure, which serves to distribute power and provide common ground points. 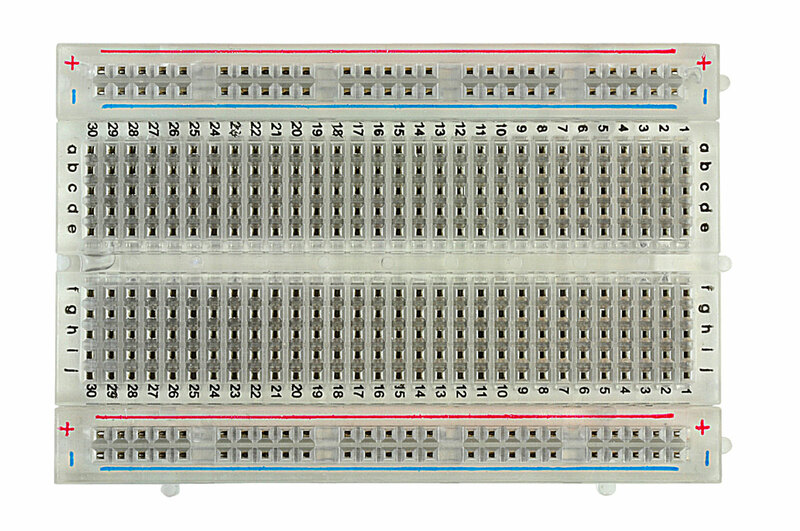 This breadboard allows the design and change circuits quickly and cleanly. 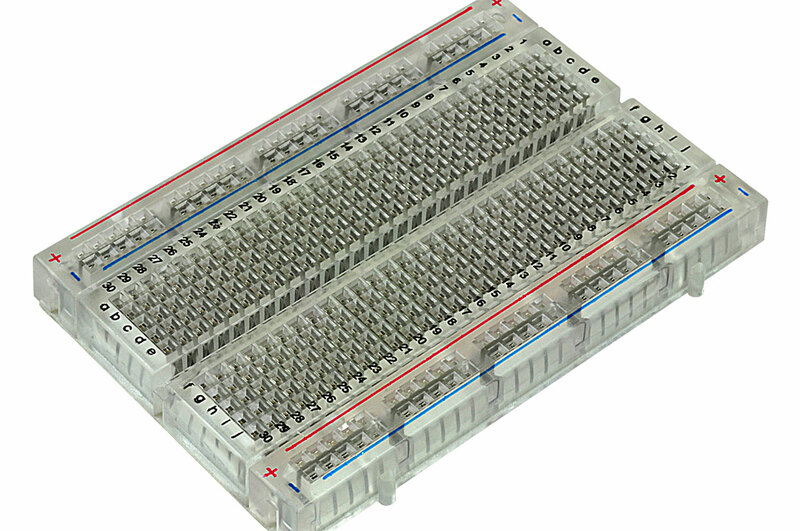 It accommodates all sizes of DIPs and discrete components with lead diameters up to 0.032�. Interconnect with solid hook-up wires (#22 AWG recommended). Wires and components can be used and re-used many times without damage to board or components.